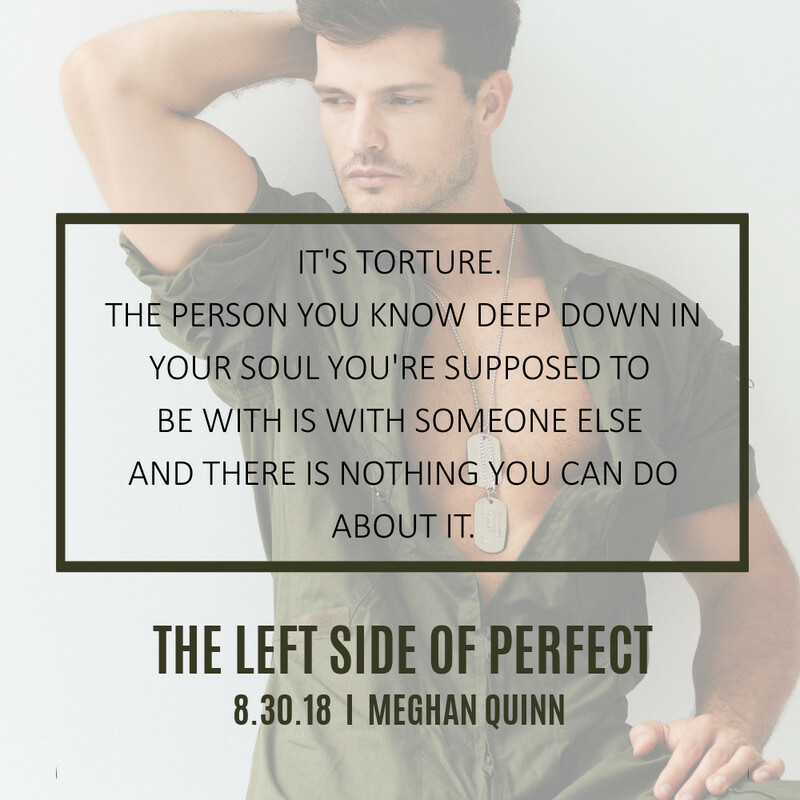 The Left Side Of Perfect – Release Day – August 30. For better or for worse,'til death do us part . . . The better captured me; she's who stole my heart. And made me realize I couldn’t live without this woman. The worse of her took my breath away--kicked me when I was down and twisted me into a million knots. When I first met her, I thought she was someone I would never see again. The second time I ran into her, it was a random coincidence. The third? I didn’t know it at the time, but she was the girl I was going to marry. But life isn’t always perfect. You have to take the better and the worse--even if it means giving her up, having her slip between your fingers, and letting her walk away. I’m getting married. What can you say about a book that gives you everything but breaks you along the way? Be glad it is a duet! This first book left me begging for the next immediately. Ryan has always thought of herself as chubby, and not meant to be happy. After all that is what her mom always told her growing up. Even though her dad was always in her corner, getting teased constantly has done its damage to her and she can't seem to stop feeling this way even though she is not at all chubby now. Colby was meant to be a pilot. He gave up everything in order to make this one dream happen. Now that he has this dream, he doesn't have much else. Unless you count the books on his night stand, his rugged attitude and laundry. He was a quiet one and when he met Ryan she brought him out of his shell for one wild weekend. Then she went home. When he saw her again, he was mesmerized but circumstance made them friends. Best friends in fact. That was okay with him. That was okay with her. It's a story of friendship. Its a story that leaves you in pieces and begs for more. 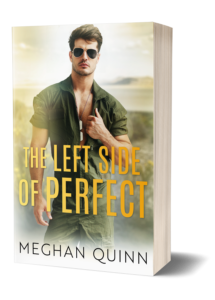 Your typically Meghan Quinn book. Perfection. 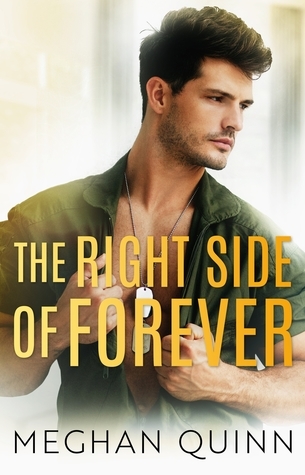 The Right Side Of Forever – Release Day August 31 In sickness and in health, to love and to cherish . . . It sounds so simple, to love someone unconditionally. To give them your heart. So why is she slowly eating away at my soul with every unanswered phone call, every unread text, and every door left unopened? She said yes, and yet, in order for her to be with me . . . I need to let her go. "You were made for me, and it might have taken us a while to realize it, but now that I've had you, I know deep in my soul you are meant to be mine. And I will die trying to make you believe the same thing. Just like there is a right and left side of perfect, there is a right and left side of forever. The left side of forever represents the relationships that come and go in your life but have had an impact on the person you've become. The right side of forever provides the relationship that stays with you, the relationship that's imprinted itself so deep into your bone marrow that you live and breathe for that person. You're my right side of forever, baby." Three words for this ending of the perfect duet: heart wrenching, magical and meaningful. 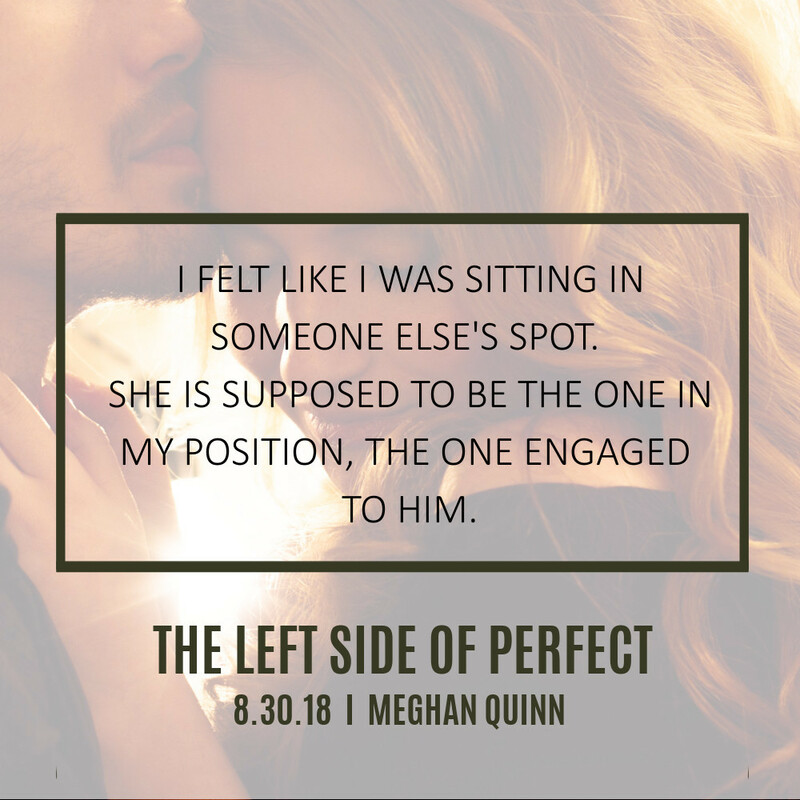 This review is almost impossible to write without spoilers as it is the last book in this amazing duet by Meghan Quinn. I will say little but tell you as much as I can in order to make you read it, because you simply can't miss out on this perfection! This second book focuses more on Ryan and the heartbreaking ending to The Left Side of Perfect. We see more of her emotions, and she became the woman she is today. She has dealt with so much from her past and getting put down by someone that was supposed to be her number one fan. It has cost her a lot and she is very closed off. She doesn't feel like she is good enough. The beauty of this love story was in the pain and then healing from it. Quinn did a phenomenal job of capturing the emotion on each and every page for her readers to experience along with her characters. It was an absolutely incredible love story told from duel points of view, and it will stay with me for a long time to come.